Who can resist a cowboy, fully equipped with hat and Wranglers? Who can resist a budding cowboy? I am on a kick of painting backs for some reason, but a person’s backside sometimes tells more of a story than the front side. The shade of the fence adds a nice black to lead the viewer’s eye into the main feature of the painting. 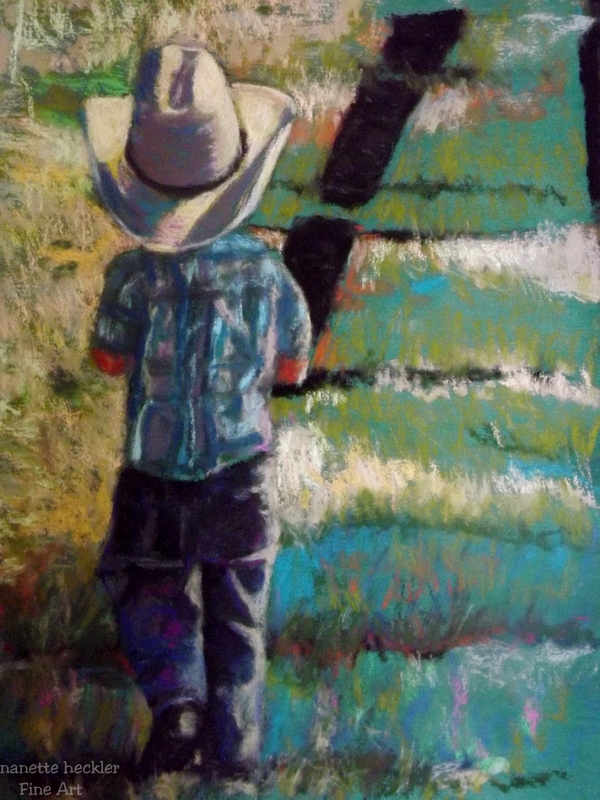 The hat is strongly featured and tightly rendered, but the background grass is loose and full of bold strokes.